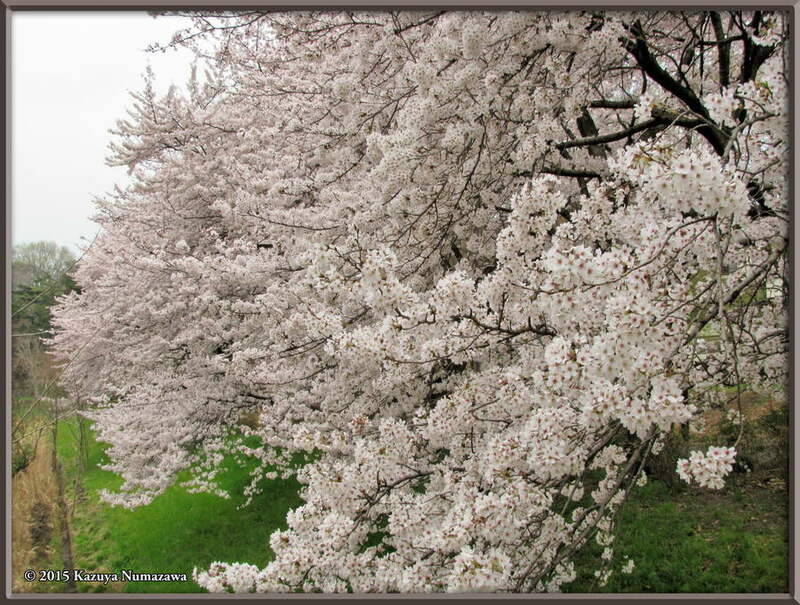 This is Page 1 of 4 - the best of April 2015! 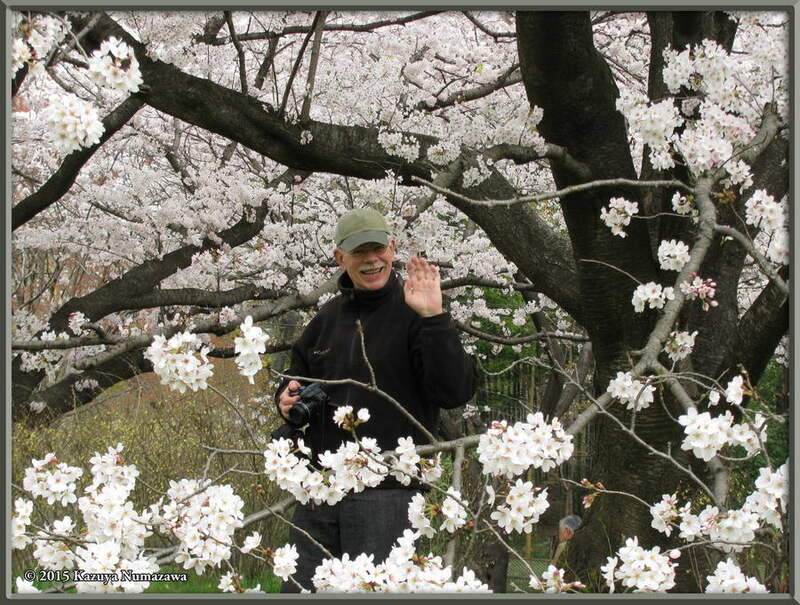 This page begins and ends with April 1st and our "Hanami" (Cherry Blossom Viewing) outing to eat our lunch and drink some Sake while sitting under the Cherry Trees at Musashino Park. 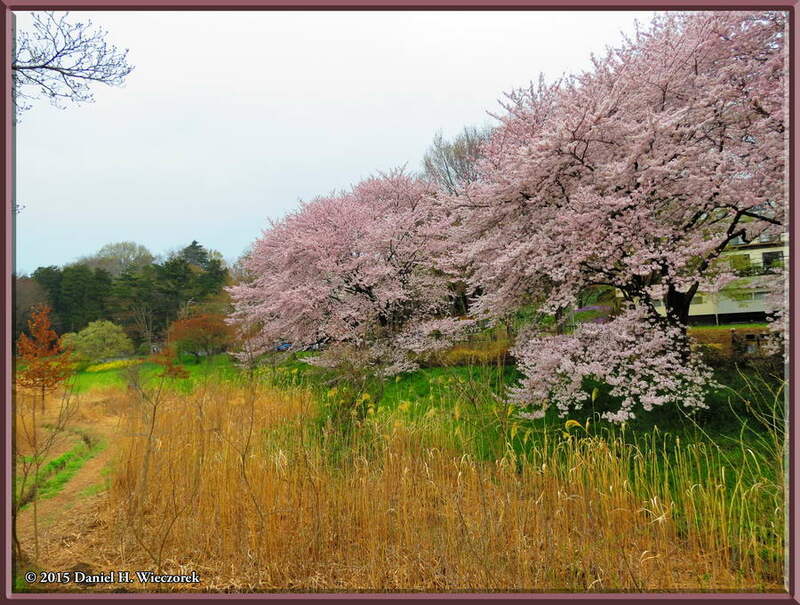 After we finished up there we went to the Natural Area of Nogawa Park to see what flowers were in bloom. After that we came home and relaxed. Click on any thumbnail to begin. 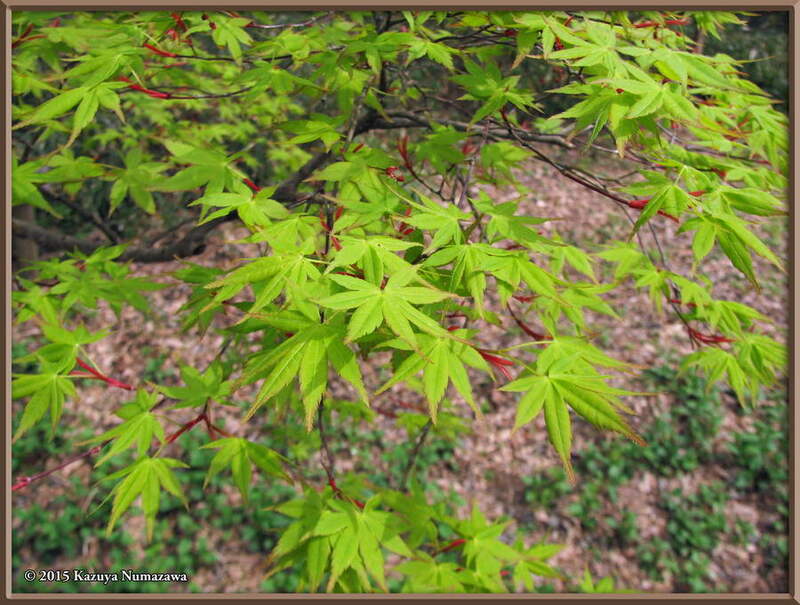 These 2 images show the Entire Cover and the Entire Outer Cover. This version is 6.14 x 9.21 inches (234 x 156 mm) and has a dust jacket, so the first image shows the cover including the front and rear flaps of the dust jacket. The 2nd image shows the entire cover with the flaps removed. The actual hard cover of this version is blue cloth (fancy, eh?) with no image on it. The Book Title is stamped on the spine. Check back later in the month to see a photo of the book, I don't even have a copy yet, so I cannot include one at this time. The first image in this row shows only the front flap of the dust jacket. The 2nd image shows only the rear flap of the dust jacket. 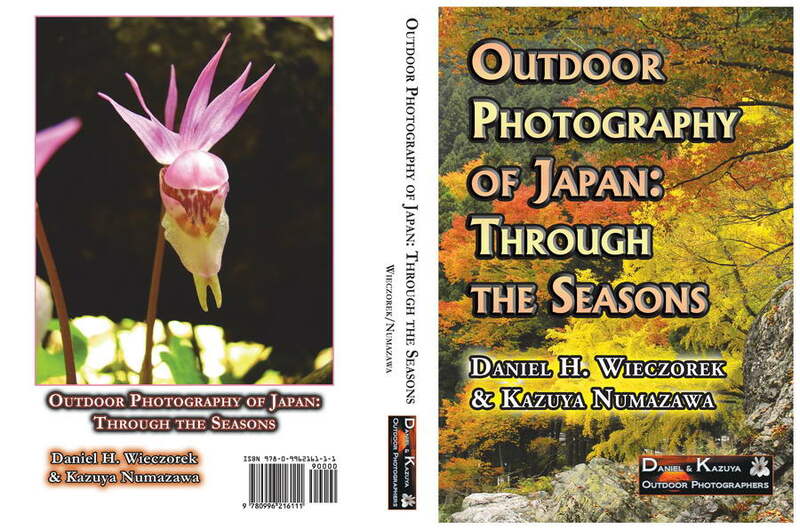 If you're interested, the "Outdoor Photography of Japan: Through the Seasons" book is now available at Amazon, as well as your local bookseller, in a HARDCOVER Edition with dust jacket! Just go to Amazon.com via the link just below and either order it there or else write down the ISBN and ask your local bookstore to order it. 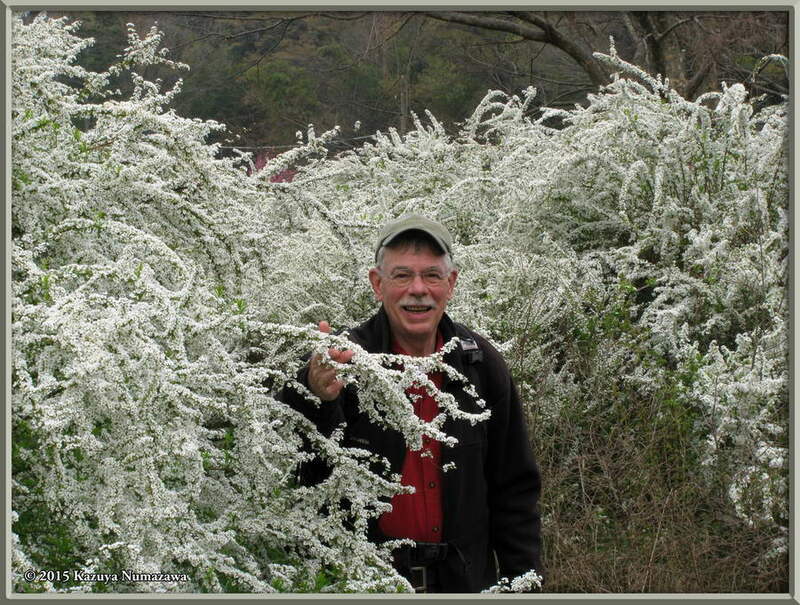 The first two photos on this row show a beautiful clump of Spiraea thunbergii in full bloom. 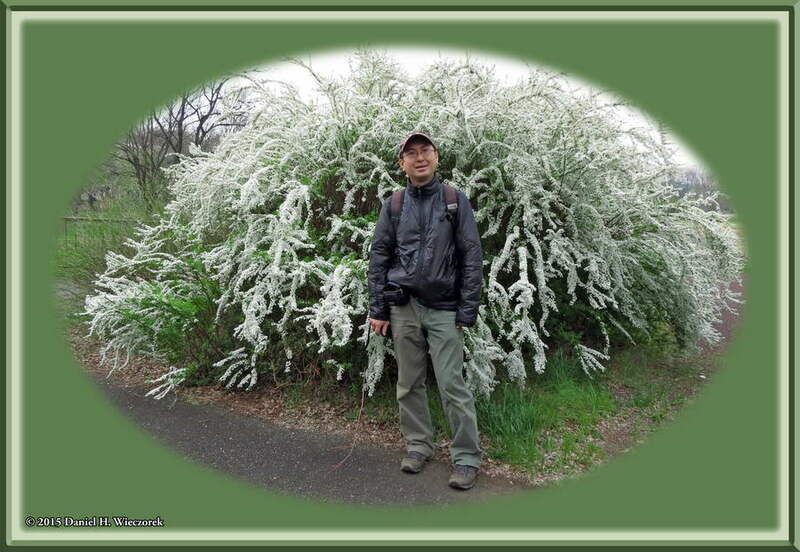 The first photo shows me and the 2nd photo shows Kazuya beside these flowering bushes. 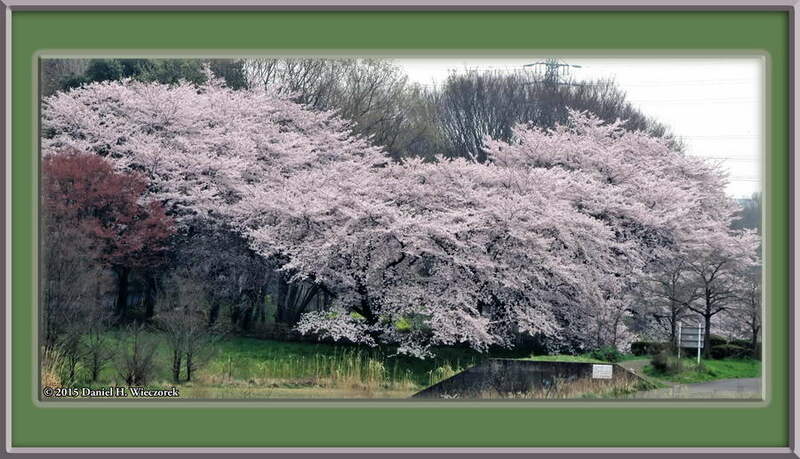 The 3rd shot shows the Cherry Trees under which we ate our nice lunch and drank our nice Sake. 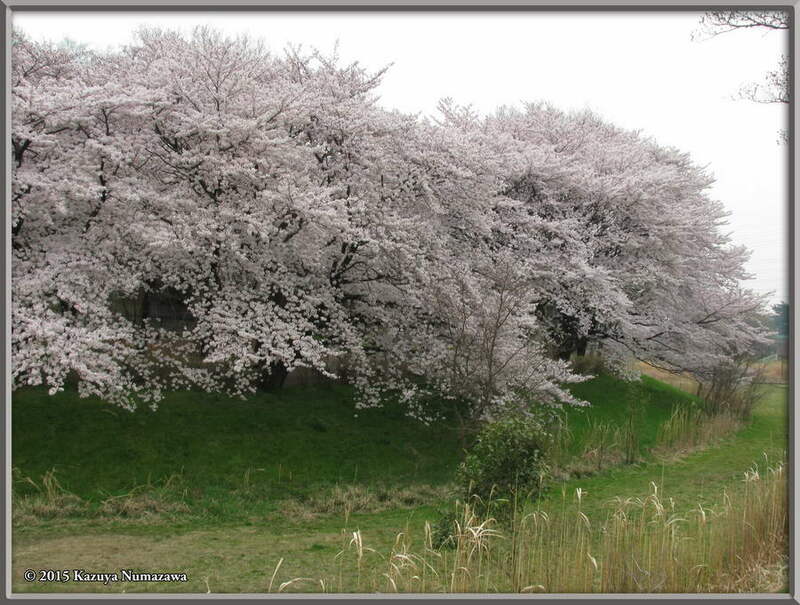 Here are 3 more shots of the Cherry Trees which we ate our lunch and drank our Sake under. 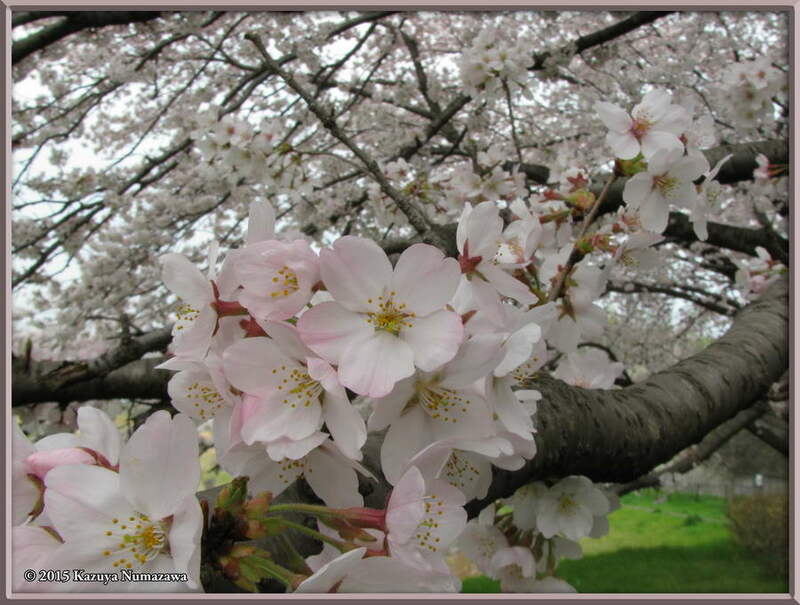 In 1st position in this row is a close-up of a clump of cherry blossoms. The 2nd shot is me being cute and the 3rd photo was shot using the Vivid Mode setting on my camera so it came out quite Vivid! 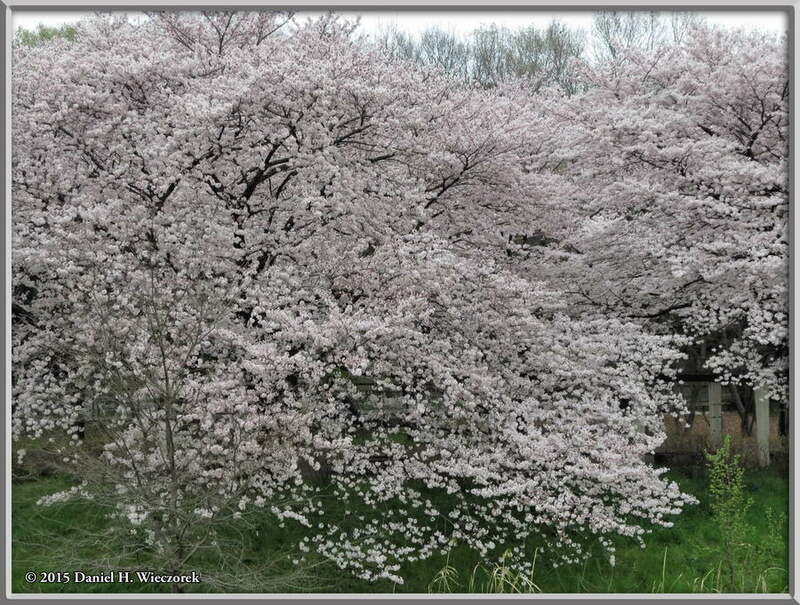 Here is one final shot of the cherry trees under which we ate our lunch. 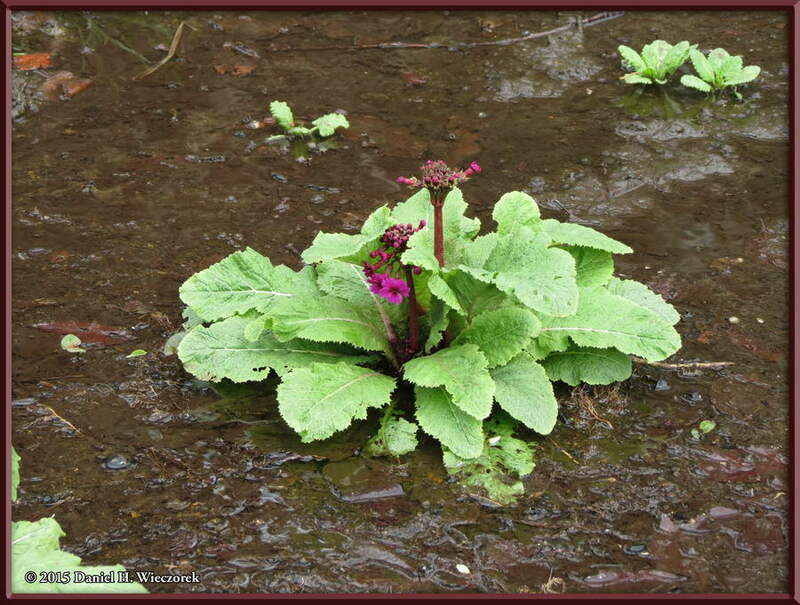 The 2nd shot in this row shows a Primrose which is beginning to bloom. 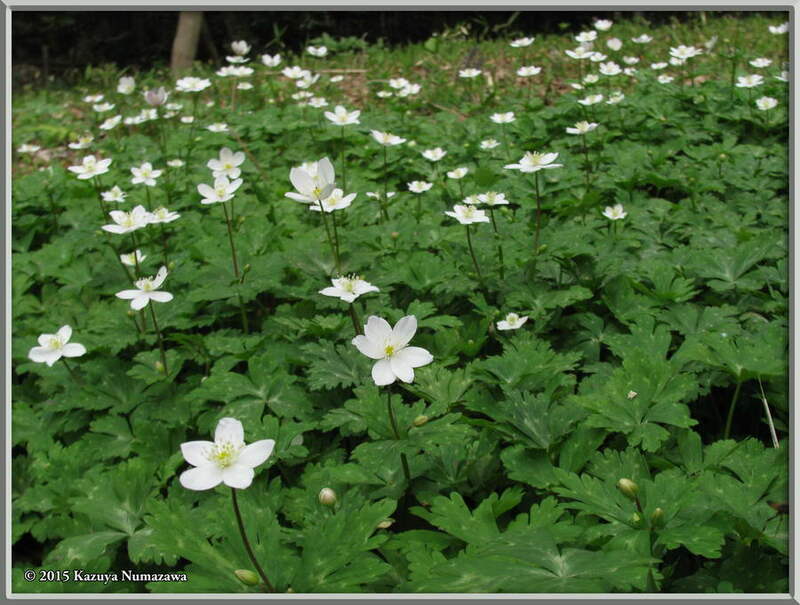 This was taken in the Natural Area of Nogawa Park. 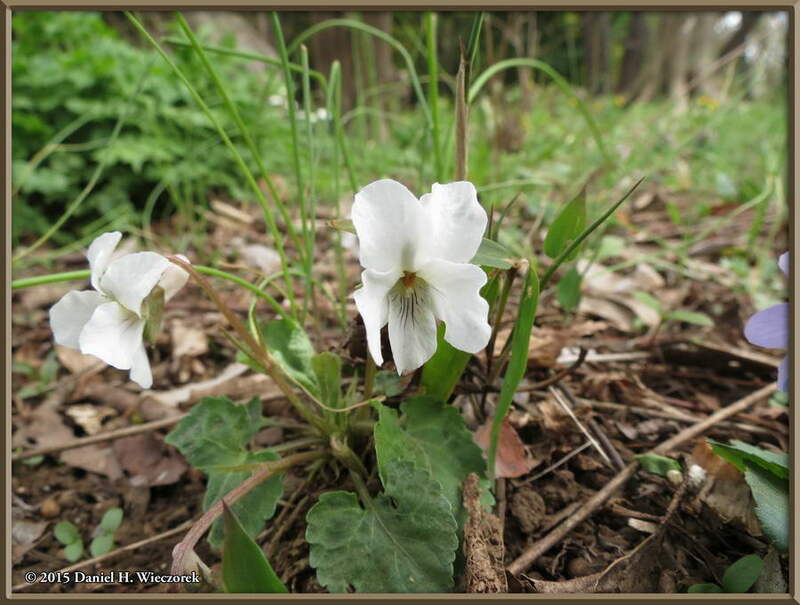 Here are 2 more shots of Primrose. 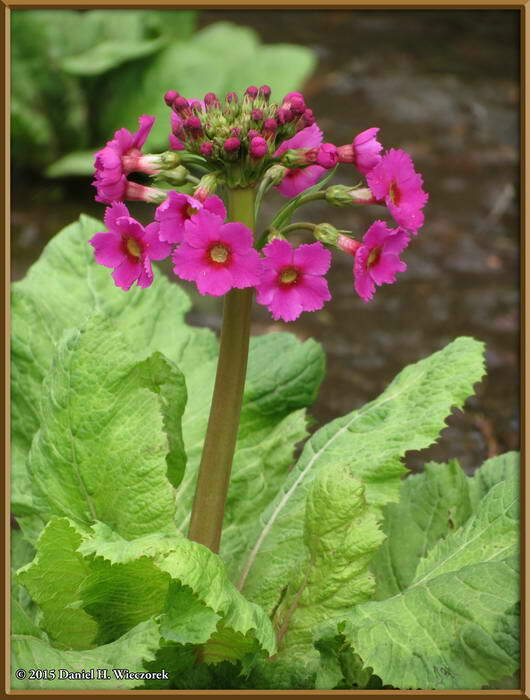 Kazuya identified the first shot as Primula sieboldii and the 2nd shot as Primula japonica. 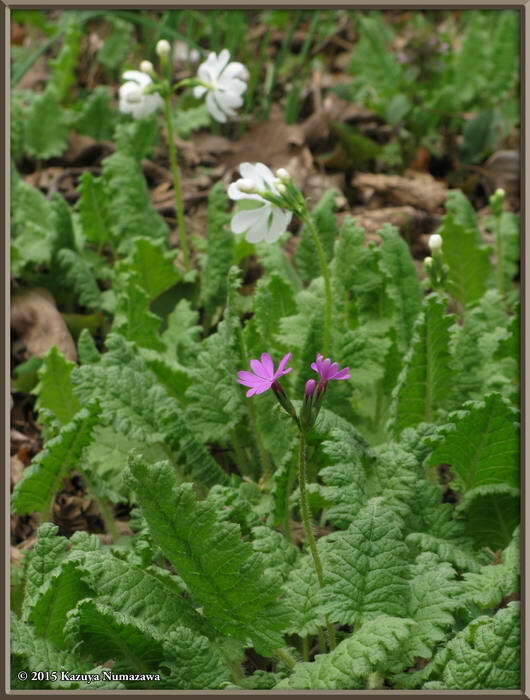 Here are 3 more shots of this small area of Primrose. 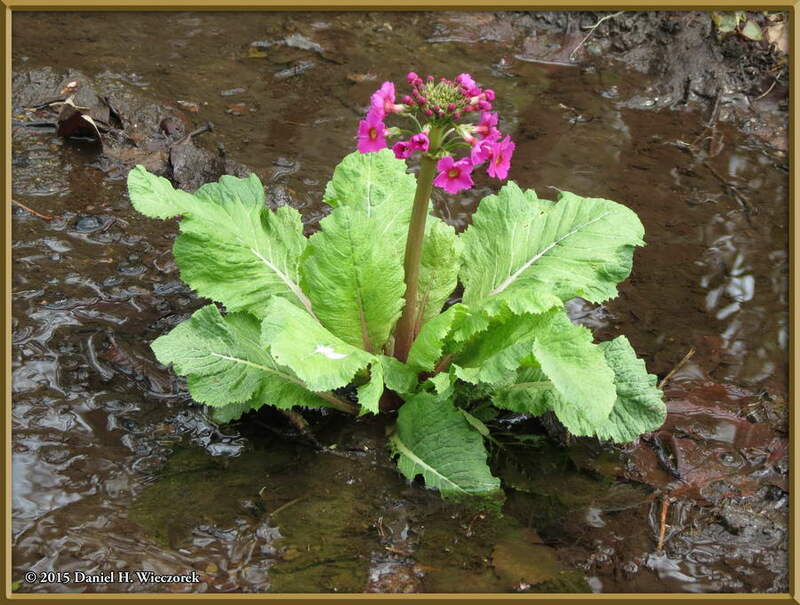 You may remember that last month's first page started out with Primrose photos too. Well, this is the same area as those photos were taken in. 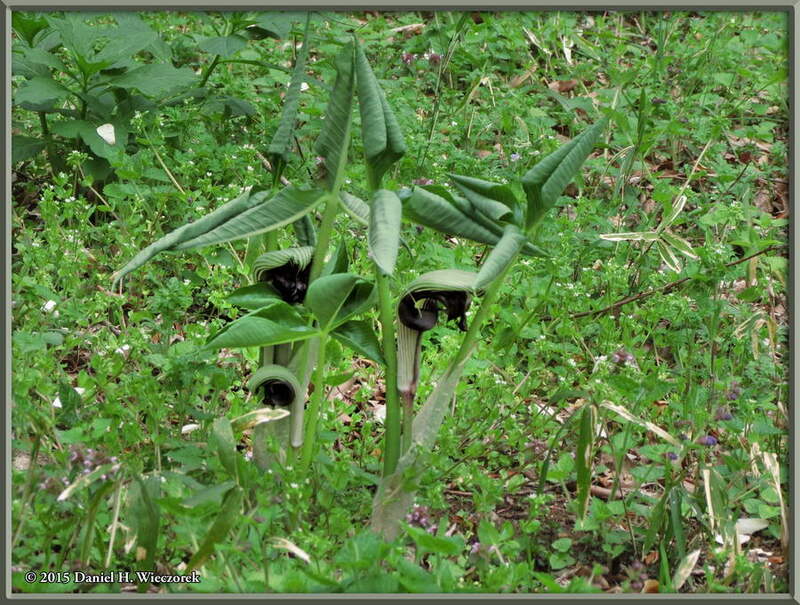 The first 2 photos in this row show Arisaema ringens (Jack-in-the-Pulpit). 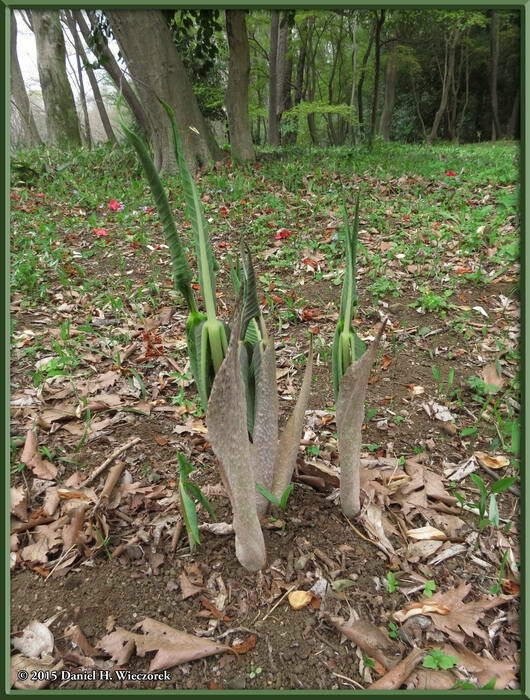 Around here there are 3 or 4 species of Arisaema. 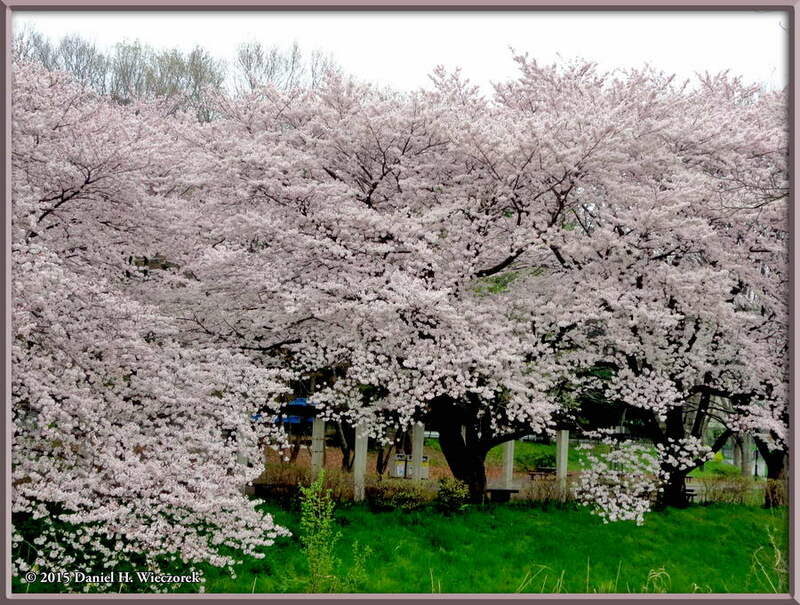 This one is the largest. 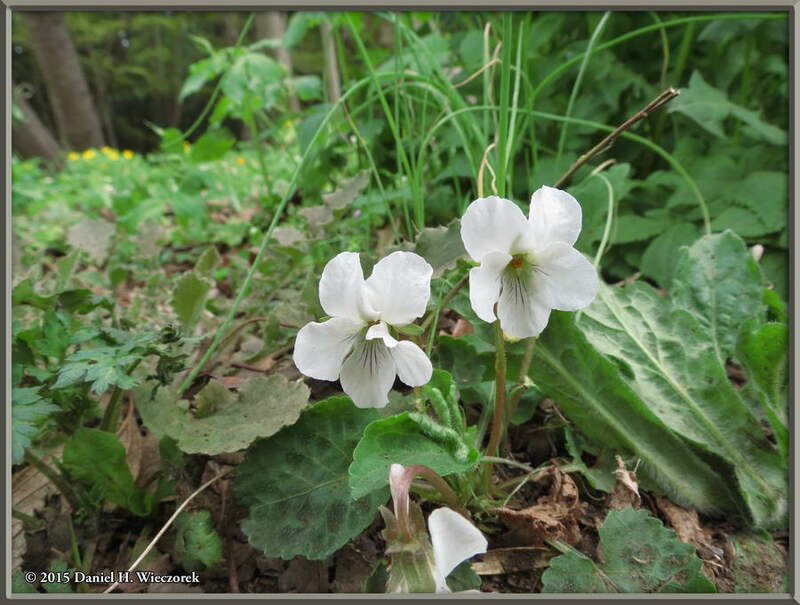 The 3rd shot shows a nice shot of Viola keiskei. 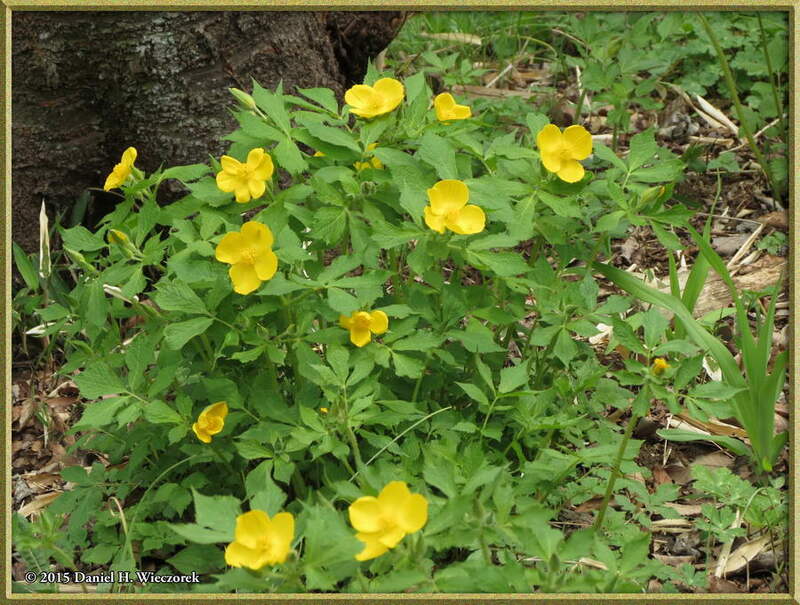 The first shot here is of a beautiful yellow flower called Yama-Buki-Sou in Japanese. 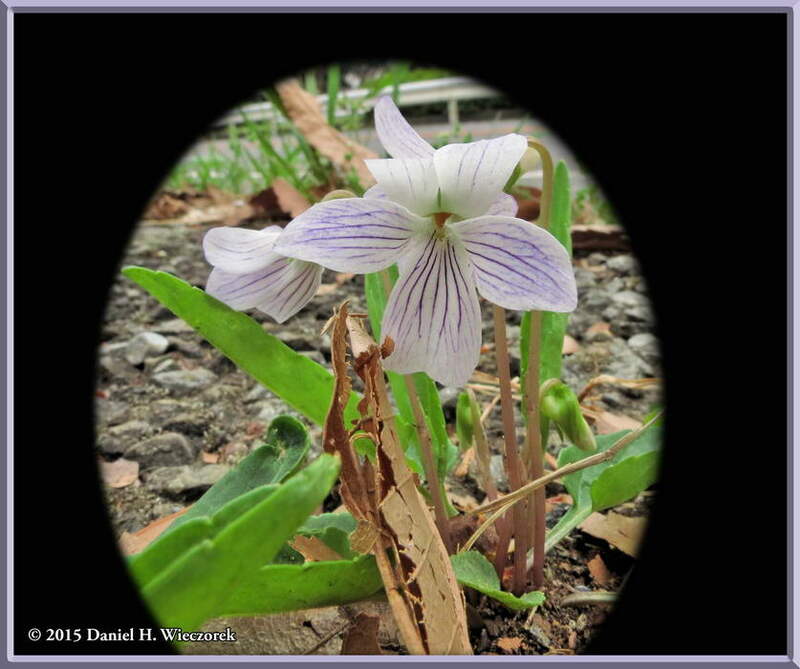 The 2nd shot shows a small patch of Anemone flaccida and the 3rd shot is another of Viola keiskei. 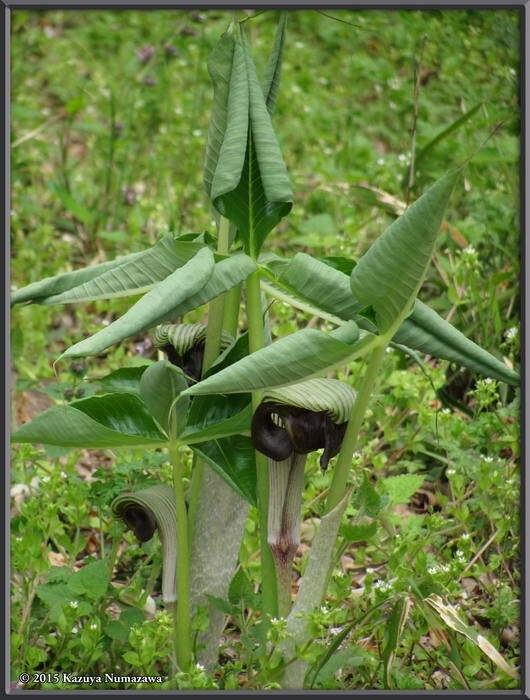 In first position here is another of the species of Jack-in-the-Pulpit (Arisaema sp.) 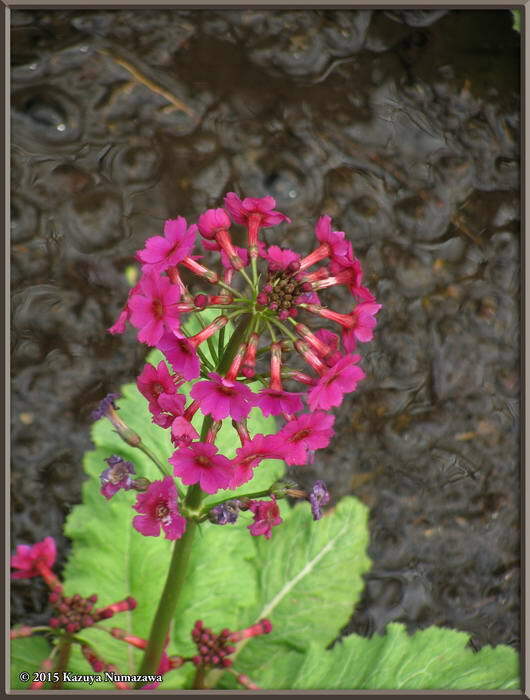 which grows around here, I'm not sure which species this one is. 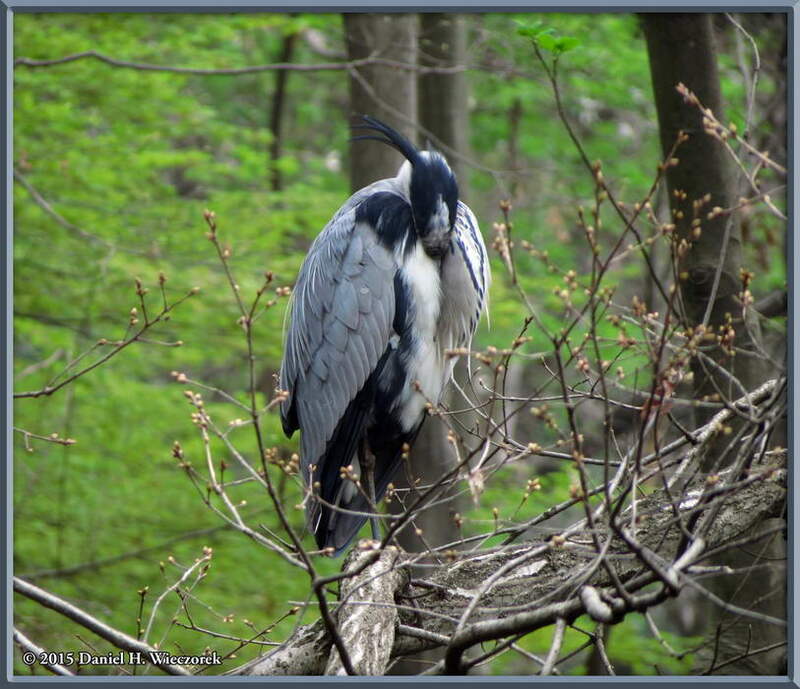 The 2nd shot shows some nicely colored young Maple leaves and the 3rd shot shows a Grey Heron (Ardea cinerea) roosting on a tree branch over the top of Mirror Pond. 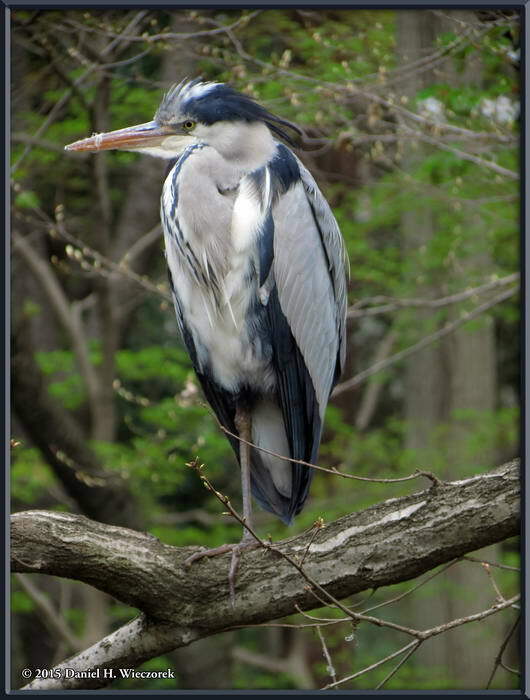 Here is another shot of the Grey Heron (Ardea cinerea) which was roosting on a tree branch over the top of Mirror Pond. 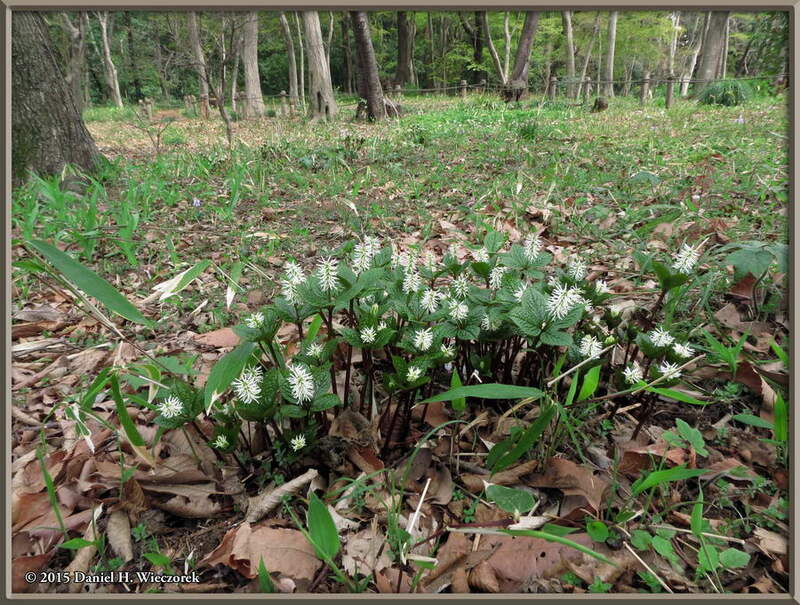 The 2nd photo is a small plant - Chloranthus japonicus - this always seems prettier when we find it in the woods than when we find it here in Nogawa Park. 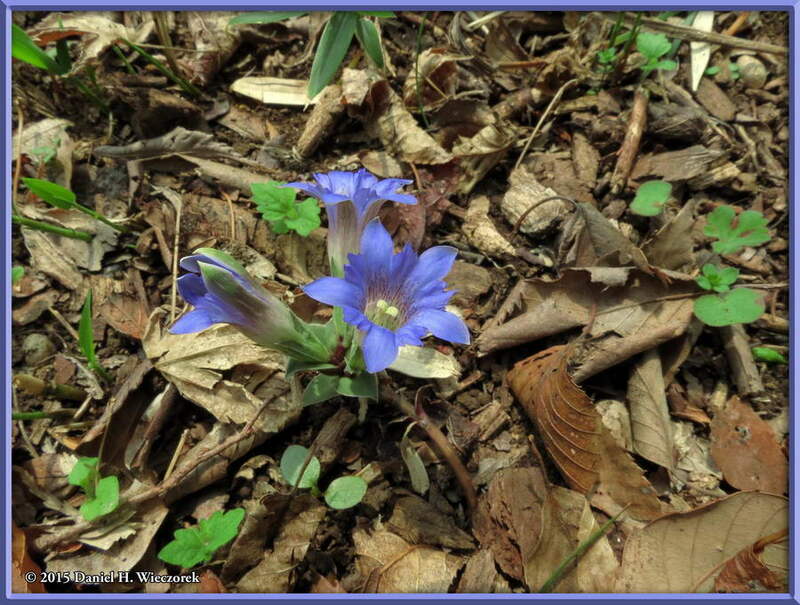 The 3rd shot is a Gentiana zollingeri in bloom. 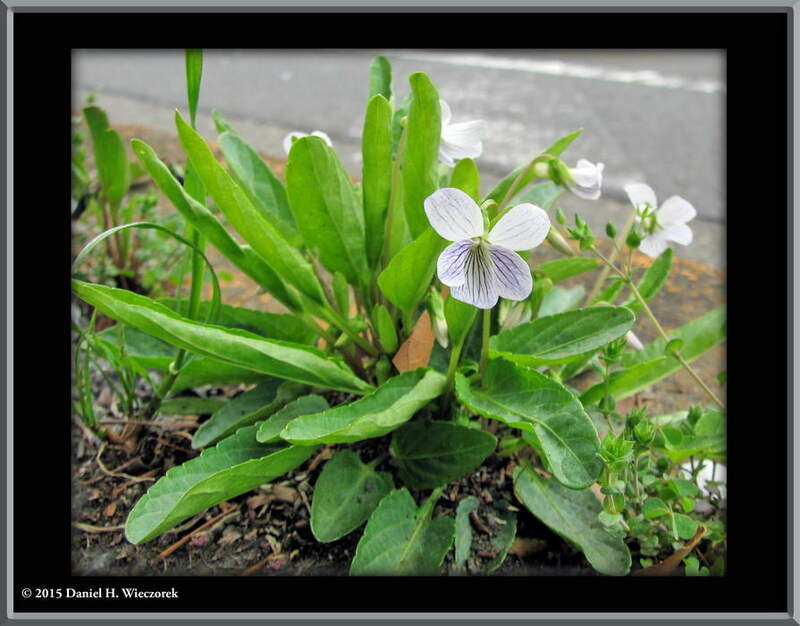 The first and third shots in this row are of Viola betonicifolia var. 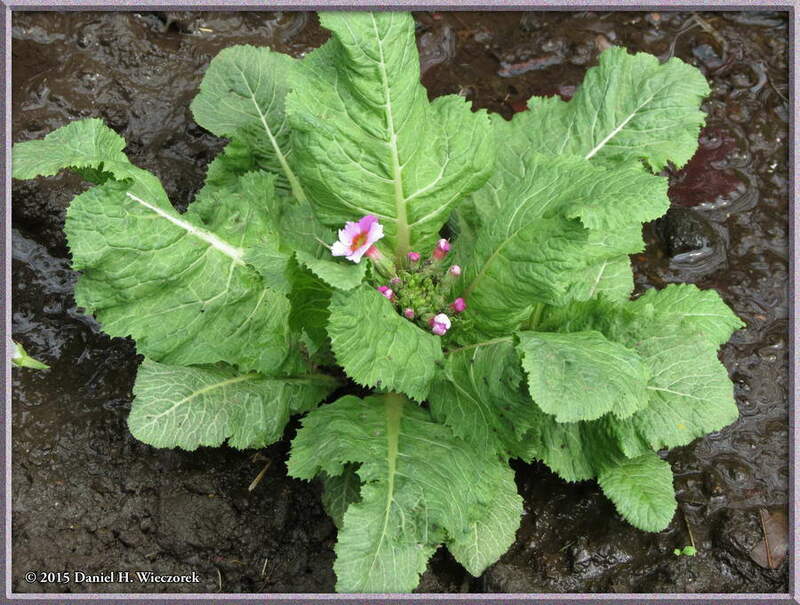 albescens. The only place we ever find this species is right beside the highway growing under the guard rail in the cracks between the sidewalk and the curb and therefore I have "Photoshopped" these 2 photos to eliminate as much of the highway as possible. 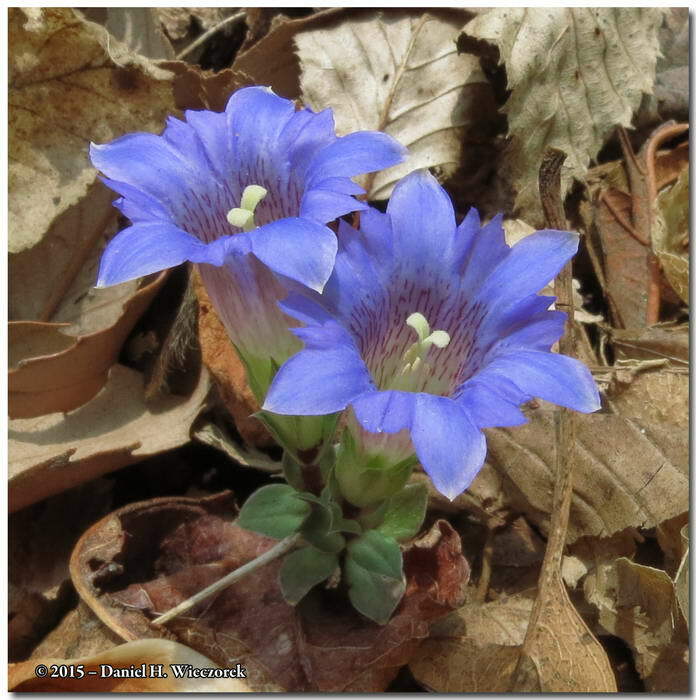 The center image is a tightly cropped portion of a photo of Gentiana zollingeri to show just the flowers.